Delhi Youth Congress in the case of the killing wife burned . , Former chairman of the maranattantanai today reduced to life imprisonment. Kalakkiya Delhi Tandoori murder case has been dramatically . In Central Delhi , the 1995 - year , former Youth Congress in July . Cusilsarma a leader , his wife, Naina sakaniyai , shot and killed by a gun , cut the body into pieces and cook in the oven and burned . Called Tandoori murder in this case , 2002 - The trial court declared guilty . 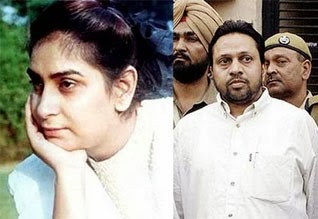 2007 - sentenced to death in Delhi HC.